We have been very fortunate partner with some great corporate groups on employee volunteer days in the park. If you are interested in bringing your group to the park to help, please contact us. 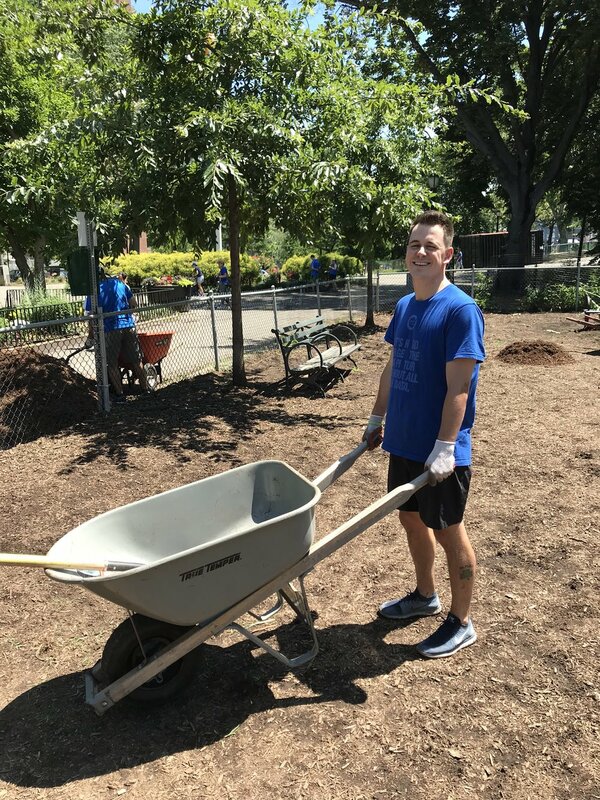 We were happy to host 40 employees from Nielsen who helped weed and clean throughout the park during their Global Impact Day, a day where associates from every Nielsen office around the world take the day to give back to their communities through volunteering. The group paid special attention to the dogs runs, clearing all the weeds and speeding a fresh layer of mulch. 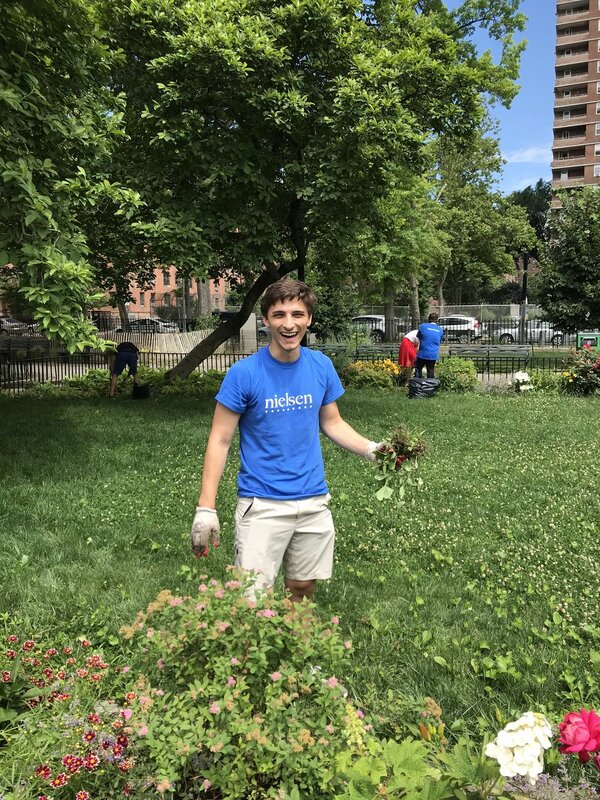 Working with Partnership for Parks, a group from Moodys helped to weed and replant the flagpole area in the park with over 100 verbenas and other plantings. They also scraped and painted the security stanchions at the Cherry street entrance. Partnering with New Yorkers for Parks, we welcomed a group from the Nathan Cummings Foundation who helped plant over 1,600 daffodil bulbs and paint benches throughout the park. 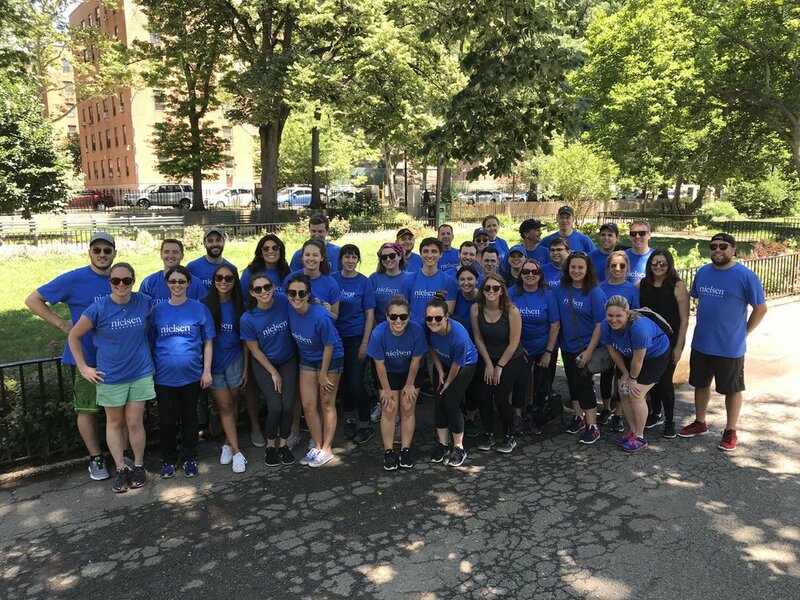 Through CityARTS we partnered with various neighborhood youth groups who helped a team of corporate volunteers from BlackRock scrape down and paint the retaining wall in the playground area. They also painted mini nature murals that the kids were able to take back to their community centers.